Veteran sports broadcaster Shannon Spake joined FOX Sports in July 2016 as a three-sport star, covering NASCAR, college football, college basketball and NFL. In 2019, she was named host of FOX NASCAR’s race coverage, handling all anchor duties for MONSTER ENERGY NASCAR CUP SERIES and NASCAR XFINITY SERIES races and prerace shows live from FOX Sports’ brand-new, state-of-the-art virtual studio set in Charlotte, N.C.
Spake also continues as co-host of NASCAR RACE HUB, FS1’s daily NASCAR news and highlights program, alongside Adam Alexander, in a role she has held since February 2017. Spake also served as a FOX NFL sideline reporter for her third consecutive season alongside play-by-play announcer Thom Brennaman and analyst Chris Spielman in 2019 and reports from the sidelines for FOX College Hoops. Since her move to FOX Sports, the broadcasting veteran covered the sidelines for the network’s lead college football and basketball on-air teams for the 2016 season, in addition to making her NFL debut in the Jan. 1, 2017, Seattle/San Francisco game. 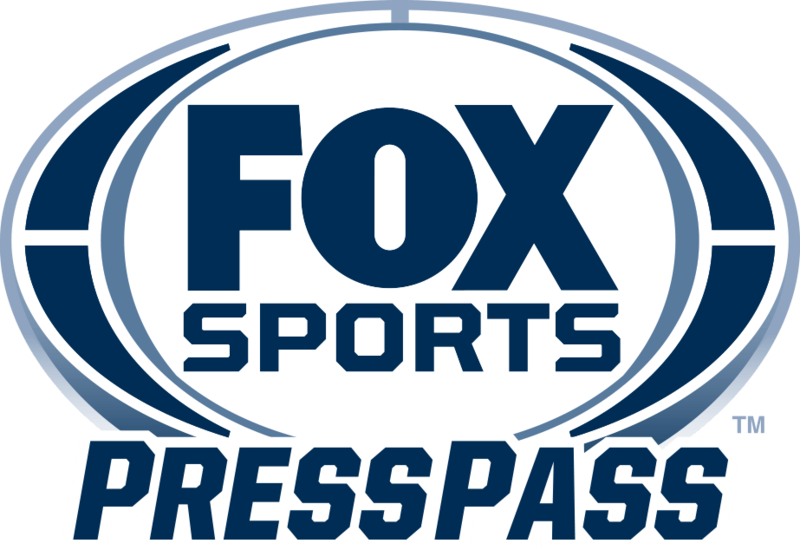 Prior to joining FOX Sports, Spake served in multiple roles at ESPN, beginning in 2006, including sideline work for Saturday college football games and select Bowl games, including a New Year’s Six Bowl. Spake was a sideline reporter for ESPN’s Saturday Primetime and Super Tuesday SEC college basketball telecasts. She also worked the 2015 NBA Draft and covered multiple NCAA men’s basketball tournaments and Final Four championships for “SportsCenter.” Spake was tasked with pit reporting for ESPN and ABC’s NASCAR coverage and offered reports on NASCAR and college sports for “SportsCenter.” She also hosted and reported for “NASCAR Now” on ESPN2. Spake’s move to FOX after several years with ESPN represented a “homecoming” for the reporter, who worked for FOX Sports’ SPEED early in her TV career. Beginning in 2005, she reported for SPEED’s “NASCAR Nation,” co-hosted “Backseat Drivers” and reported from the NASCAR garage during the network’s coverage of the 2006 Daytona SpeedWeeks. In 2003, Spake was hired as a reporter and producer for WCCB-TV, the FOX affiliate in Charlotte, N.C. The following year, she joined the NBA’s Charlotte Bobcats (now Hornets) to report and produce for C-SET, the team’s regional sports network. In 1999, Spake interned for the “Neil Rogers Show” on Miami’s WQAM and later that year moved to New York City to join Nickelodeon as an assistant coordinator of on-air promotions. Starting in 2000, she spent two years at CBS News – including one at “The Early Show” as an associate producer. While there, Spake covered historic events such as the 2000 presidential election and the September 11th attacks. She worked as a production assistant on ‘Real Sports with Bryant Gumbel” on HBO in 2003 and performed freelance production work for several specialty television projects, including the MTV Video Music Awards, VH-1 Fashion Awards, CBS’ “The NFL Today” and boxing on HBO. In 2017, she had a cameo role in Disney Pixar’s hit movie, “Cars 3,” starring as Shannon Spokes. Spake was raised in South Florida and graduated from Florida Atlantic University (FAU) with a bachelor’s degree in communications. Despite being diagnosed with scoliosis as a child and undergoing back surgery at 13 that involved the insertion of rods, Spake swam competitively through high school and college. She earned a swimming scholarship to Broward College before transferring to FAU to complete her degree. She currently resides in Charlotte with her husband and identical twin boys. Spake is active in the endurance racing community. In addition to being a three-time marathon finisher, she has competed in three 70.3 Ironman events and, in 2018, became part of the IRONMAN Foundation Ambassador program. She currently is training for her first full Ironman.